We moved to the old homeplace early summer of the year Great Uncle Caro died trapped inside it. Too wide to get through any door for three years, he’d managed to live entirely in the front parlor. The floor sagged where his sofa had been. The room reeked of cheese and armpits and spoiled meat even though Mama scrubbed it twenty times with Pine-sol. Finally she closed the door and we lived in the back rooms until the parlor walls was sealed and painted. Mama showed me the letter telling about how Uncle Caro had left us the title to his house and its acres of timberland. She kissed the paper. “It’s an answered prayer, Sherl. Our saving grace.” I’d met Uncle Caro once when I was five. All I remembered was he’d give me a silver dollar and called me Squirrel. We’d never had a house of any kind so I gulped down my feelings about leaving Nashville. I hated to be ungrateful or unwilling to give us a new start. A sober start away from the honky-tonks and boozy clubs where Mama had been shoe-stringing it as a singer/songwriter—but mostly cocktail waitress—my whole life. I faked a jack-o’-lantern’s smile. We both skitter-skipped through the weed-ragged yard, fearful of snakes. I waved her off, happy to get the T.V. all to myself on Sundays. If I had gone that Sunday or any other, would it have mattered? I’d played that head game when I was younger: if I stayed home from school maybe she wouldn’t drink, or if I pitched a fit, or dumped her booze, or stole her keys. You’ll try anything to save your own mother because you’re stupid with hope and desperate with love. And she’s everything. Church made her a teetotaler longer than any time except when she was pregnant with me. Out at the brush arbor they’d laid healing hands on her and quenched her thirst for liquor. But demons are shape-shifters that rise again in fresh forms. “The spirit moved on your Mama today,” Gene said. “Drank of the poison with no sickness.” He squeezed her shoulders under his arm. An icy bubble rose from my gut and filled my chest. They’d been courting two months. I knew drinking strychnine in church was something their believers did to fulfill scripture found in Mark 16. But Mama promised she just sang at meetings, never joining in the signs, especially none of the dangerous ones. No drinking rat poison, no burning with flames, no handling vipers. After Gene left she tried to make light, but I knew her too well. Mama never could stop until she’d drained a bottle flat dry. He couldn’t call a doctor or go to a hospital? No. That would be spitting in God’s face. If your time’s up you accept it. What if it’s my mother, I wanted to know. Mama also had a key to the shed. I’d seen her toss it in the junk drawer when Gene first brought the snakes. It’d save him an extra trip back if he forgot his own key. I decided against dumping the snakes out—just open their boxes a crack and leave. I never stopped to wonder, what next? Maybe I hoped they’d magically disappear. Or bite Gene. Or scare Mama into some sense? I didn’t realize rodents had chewed holes in the shed’s rotted corner boards. Mama stumbled across one of the rattlers while hanging laundry in the yard. Gene hadn’t fed him for some days so he was potent. He struck her calf twice, fangs latching hard. She made it to the parlor sofa and collapsed. I found her there, praying, one leg swollen big as Uncle Caro’s. I spit at God and called an ambulance. Cried, and waited. Cussed God, and waited. Mama spoke in tongues; vomited blood; labored for air. The road out is long and shadowed all the day. Prayers get lost. Grace is hard to find. 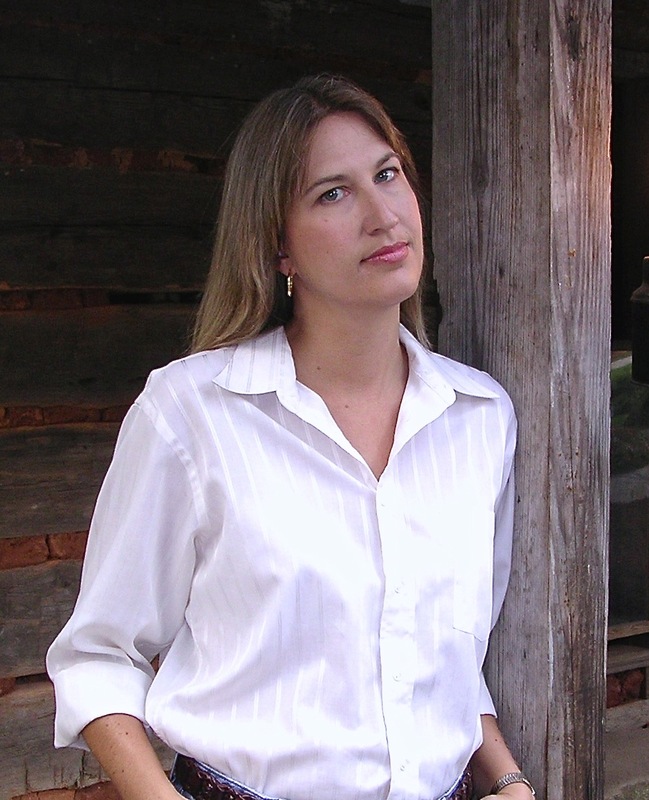 Kim Siegelson is an author and creative writing instructor. Her work has been published by Harper Collins, Putnam, Hyperion, and Random House. Honey Bea is her most recent novel for young adults. She lives in Atlanta, Georgia. Her website is kimsiegelson.com.